Korlan is a native of South East Asia. 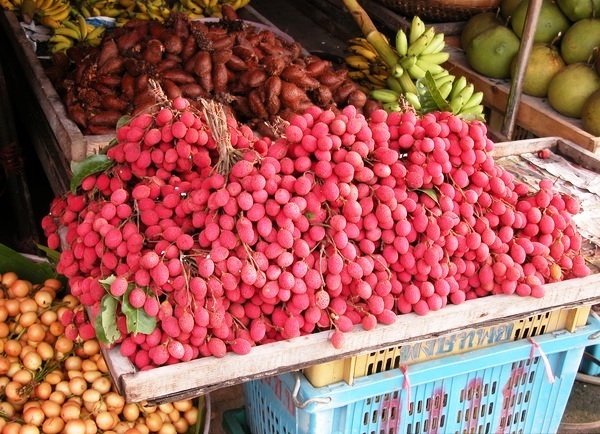 This fruit found growing wild in most South Eastern Asian countries. 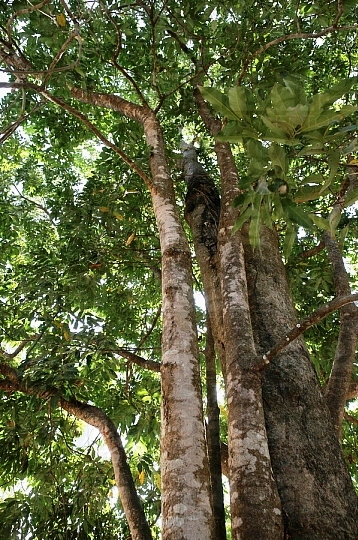 The trees are also planted in some countries particularly Thailand and Malaysia. The fruits are also offered for sale at local fruit shops at some places. Korlan has, however, not travelled to other countries outside South East Asia. 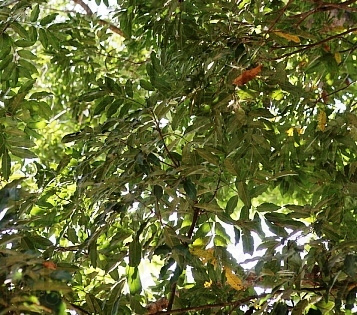 An evergreen tree, upto 30 m tall, trunk 1.40 m in dia, with buttress upto 1.5 m tall. Leaves, 1-5-jugate, petiole 3-16 mm cm long, petiolules 5-11 mm, leaflets 6.5-30 cmx2-8 cm, 2-4.5 times as long as wide. Inflorescence terminal and axillary, male and female flowers sometimes in the same inflorescence; petals 0-6, stamens 7-10, pistil 2-3-merous. Fruit ellipsoid, 2-3 cmx1.5 – 2.25 cm, densely warty, warts upto 1.5 mm high, red., borne on loose pendant clusters. 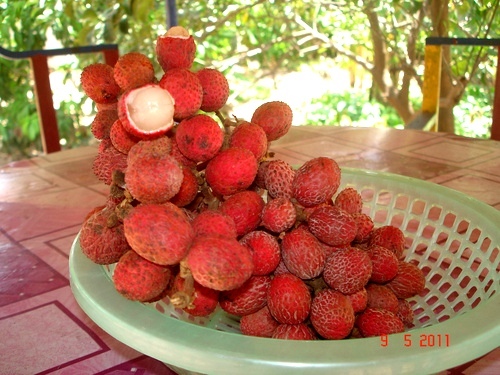 Korlan fruits, which are like litchi fruits, are eaten. The seed is said to be poisonous. The fruits are also offered for sale at some local markets. New plants of korlan can be raised from seed. Asexual propagation can be done by air layering.